Happy March!! We've just turned clocks forward and Spring is just around the corner. Yay! Easter is also coming up quickly and there's no better time to start on your Easter cards than now! And, with digis, you can start as soon as you order and download. No wait time for shipping. So easy and so fun! 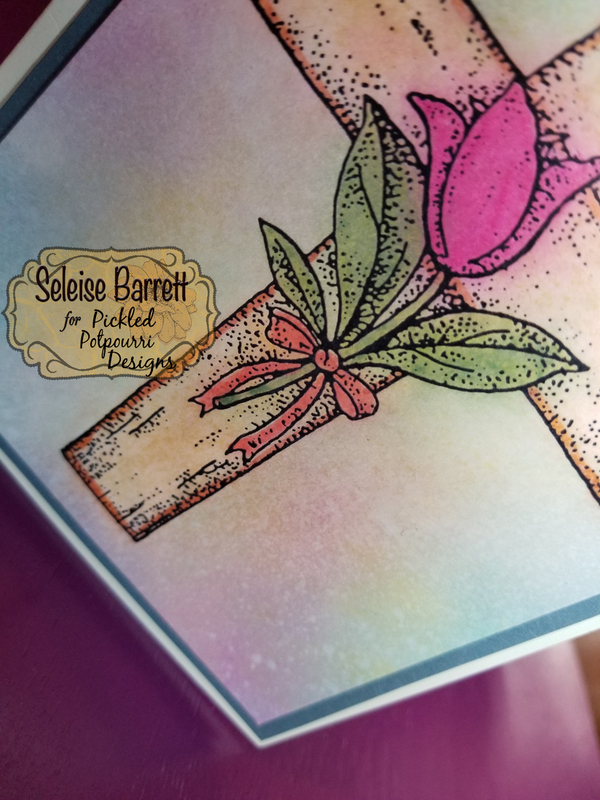 Check out all the digi goodness at Pickled Potpourri Designs! 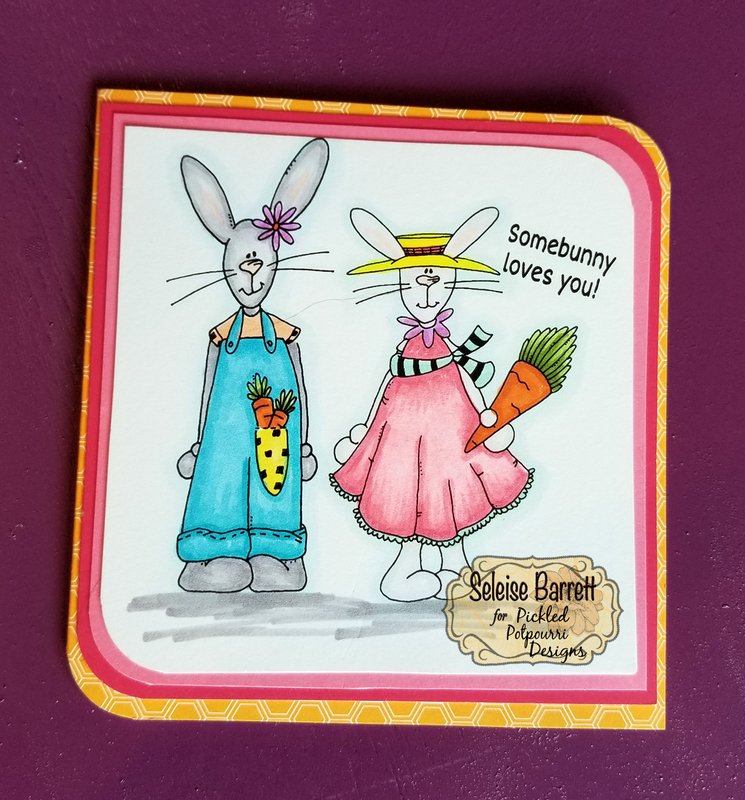 Some Bunny - an adorable digi set for the Easter season is featured on this card. Both bunnies come in the one set so I put them together and added the sentiment before printing. These are colored with Copics and are layered on a square card with corner rounded edges. 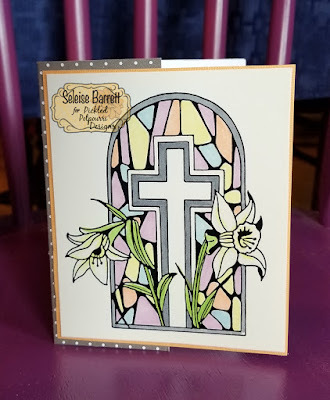 It's a happy little card for the Easter holiday and you could play with a brighter color palette, if you didn't want the pastel look. So, last month, I showed you this Cross digi on a sympathy card. Here it is as an Easter card. 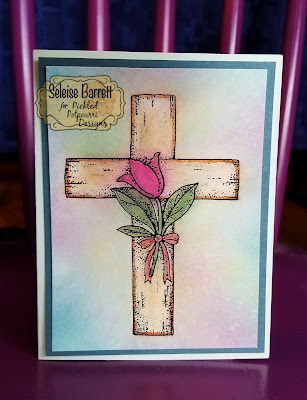 The background, cross and flower are colored with a light dusting of distress oxide inks. 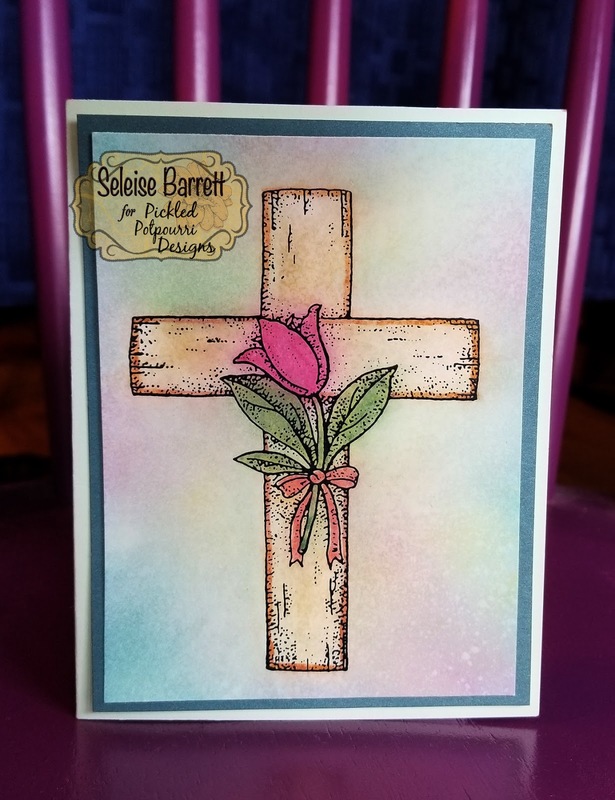 The flower, cross outline, leaves and bow details were colored on top of the distress oxide inks with distress markers. A spritz of water created the oxidized background and gave a watercolor feel to the markers and ink layers. I kept the inks light to keep the Easter pastel feel and to keep the cross as the focal point. If you wanted more oxidation, simply add more ink. So fun to play with a different coloring medium. Another beautiful cross digi caught my eye and I knew that this stained glass image would be mine to use. This digi, Stained Glass Cross, is so beautiful! You could paper piece it to give it a layered stained glass look. You could print it on inkjet shrinky dink paper, color and make little tags for Sunday School classes. You could color it with glitter pens or add glitter accents to give it a sparkly feel. You could do a distress ink background. You could color it in golds and silvers. So many options. I used copics and stayed in the pastel theme of the post. 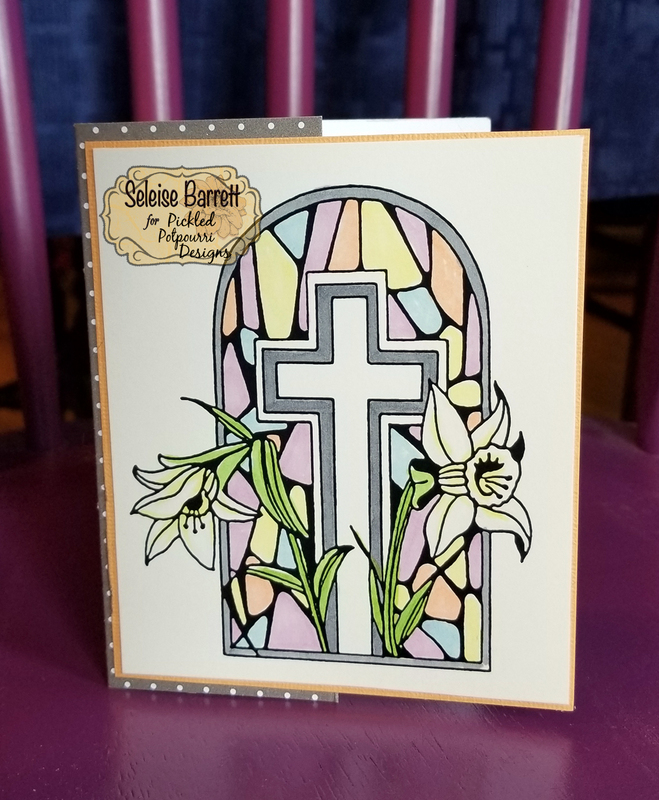 A bit of light yellow accents the lilies and the bit of grey makes the white cross pop and ties the stained glass window to the cross as well. It's simple and meaningful and would be a lovely card for the Easter holiday.